Do you want to freely soar in the spirit? Get grounded in the Word! Discover what is available to you. you are free and confident and unafraid. with the Holy Spirit as your Guide! Encounter Him through His Living Word! He was explaining the Scriptures to us?" Is your Bible study time in the doldrums? Do you find that you don’t enjoy learning detached head-knowledge about the Bible, so regular Bible study is difficult to maintain? Have you made a false dichotomy by subconsciously believing, “I need to choose between Bible study and spiritual intimacy?” Are you in danger of deception because you lack biblical grounding which allows you to safely navigate the spiritual realm and steer clear of false teachings? What could you learn if the Holy Spirit was your Teacher? Do you feel guilt for not enjoying reading God's Word? Do you feel shame at your ignorance of Scriptural truth? Do you wish you knew more about what's in the Bible? Do you find you can't defend your faith? Are you unsure where God’s spiritual boundaries are? Get to know the Truth and you won’t fall for a lie! We Have Just Finished Preparing an Awesome Solution: We have created the first “Through the Bible Series” which draws you into the experience of hearing God’s voice and receiving divine revelation as you meditate through the entire Bible. 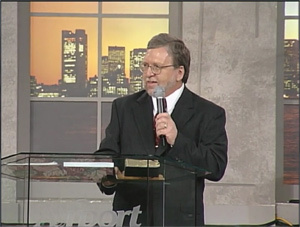 You will have Dr. Andrew Hardy, awesome Bible storyteller, at your side (available through both video and audio). Outstanding weekly meditation questions will guide you in discovering biblical truths and receiving revelation directly from God. Plus for a limited time, we are offering a weekly internet group which you can participate in with Mark Virkler where everyone shares the revelations God has given them from the assigned Scriptures, questions and journaling from the previous week. You will find that your heart is inflamed with revelation as Jesus opens the Scriptures to you and your group! our revelation-based Bible Lover's series? going out for coffee with the author of it! The Benefits for You Personally: You will enjoy the process of becoming a "Biblical Person." God's Word will be written in your heart because you have taken the time to meditate on it from Genesis to Revelation. You will not be swayed by winds of change. You will become immovably grounded in the truth of God's Word because the Author has spoken to you as you read it cover to cover. Step into biblical meditation with a group of like-minded Spirit-filled believers. The Bible is meant to be lived and we will as a group be drawn into living the Scriptures from Genesis to Revelation. God’s Word + God’s Voice = Ancient Truth for Your Here and Now! 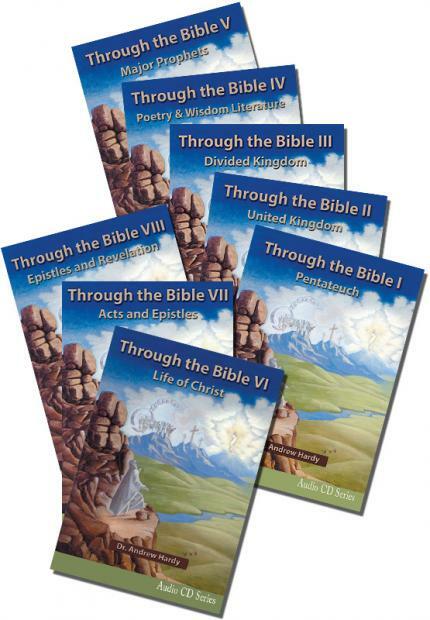 8-part Devotional MP3 “Through the Bible” Training Packages for you and/or your group. Click here to view a 7-minute clip from this series with Dr. Andrew Hardy. Test your Bible knowledge! Find out how well you do on these eight free online Bible quizzes? Make Biblical illiteracy for you and your friends a thing of the past! Wouldn’t you love to have an anointed storyteller at your side, opening for you God’s unfolding plan for mankind as you read through the Bible from cover to cover? That is exactly what we have prepared for you as you listen to Dr. Andrew Hardy masterfully unfold God’s Story of Redemption from Genesis to Revelation. Dr. Hardy encourages you to listen to God as you walk through the pages of Scripture. These new training modules allow you to bring a British scholar to your home or your group for eight full courses of 10 - 11 sessions per course. An extensive Through the Bible Workbook helps you to pray, ponder and record the insights God is giving you, so you have a permanent record of God’s revelation from this walk through Scriptures. It guides you in taking notes and prayerfully reflecting on every page of Scripture. The workbook is interactive so it is perfect for individual or group meditation on the Word of God. Check out some of the pages of this amazing book here. Not only are there charts for every book of the Bible (which you complete by filling in chapter titles), but there are thought and reflection questions to help you prayerfully meditate on the deeper truths of God’s Word and trace important themes throughout the Scriptures. The videos are ideal for small group training and the MP3s (which are identical in content to the videos) become a “university in your car,” giving you the opportunity to listen to these biblical truths over and over again, allowing them to sink deeper and deeper into your heart, transforming your life. I attended a conservative Christian liberal arts college, hoping to be thoroughly trained in the Bible. However, we were not even required to read through the entire Bible to graduate! We were only asked to skim various portions and we skipped other sections altogether. I was extremely disappointed, because I was hoping for more. I went to Bible school to become a biblical man, so even though they didn’t require it, I read through the Bible on my own, and my fiancée Patti and I read the entire New Testament aloud to each other. It was never suggested at my Bible college that I pray over the Scripture as I read it, or ask God to grant me revelation as the apostle Paul and King David both did (Eph. 1:17,18: Ps. 119:18). So in college, I read the Bible using my head and it never occurred to me to use my heart. Since I didn't know to pray over the Bible, I graduated from Bible college with a head full of theology, and no revelation knowledge. As I have shared in our book on 49 Lies, once I was able to hear His voice and receive revelation insight, much of the theology I learned at college was replaced and adjusted by the Lord through my two-way journaling. Of course, I am not alone in this experience. The apostle Paul also left Bible school with theology so messed up he was out killing Christians (Acts 9:1) and had to be struck down by God (Acts 9:3-7)! The Lord then introduced him to revelation knowledge as he spent three years in the Arabian wilderness (Gal. 1:17,18) being taught directly by the Holy Spirit. (No books in the wilderness, right? - Gal: 1:12). Wouldn't it be better to do it right the first time around? 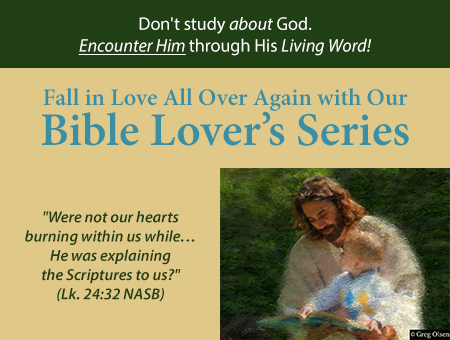 In our Bible Lover’s Series, the student does more than simply skim portions of the Bible. He is guided in a meditation of every single chapter of Scripture from Genesis to Revelation. Yes, this takes about two years, but who cares? You will be two years older whether you do this or not. Is there any substitute for your having carefully examined the entire Bible yourself? Even better is to do it with a small group and share your insights together and pray for one another as you grow in the Lord. I love charts because they reveal so much information in a glance. I began creating these Bible charts for my youth group while working as a youth pastor in a Wesleyan church and attending college. Later, when I was pastoring my first church, Patti helped me add reflection and discussion questions for each book of the Bible. We then used this two year program in our home groups. I met weekly with three different home groups and we shared revelations together, and worshipped and prayed together, ministering to one another’s needs. This resulted in establishing deep relationships which I still cherish today. More than 20 years later, folks from these groups have told me that these two years are what established their knowledge in the Word of God and they were so extremely thankful for the opportunity to go “Through the Bible” together with me. Once we created Christian Leadership University, we added additional books and assignments and made this an eight course series at Christian Leadership University. No specific theology is demanded. Instead, you are asked penetrating questions and encouraged to search Scriptures for answers, under the illumination of the Holy Spirit. You then share your revelations with your group for confirmation or adjustment. You slow down! You take enough time to really meditate on Scriptures and be transformed by the revelations you are receiving. Rather than only two courses (Old & New Testament Survey), you spend eight courses exploring the Bible in considerable depth. You let God speak to you from every page of Scripture. You become a “Biblical Person,” knowing how to respond with biblical principles to the events of life which surround you. Because you know God’s perspectives concerning life’s situations you avoid taking wrong paths. You can speak articulately into the politics of your nation. For maximum results, we recommend you gather together some friends into a home group or Sunday school class and cover one course each quarter for two years. We have a Through the Bible Teacher's Guide as well as a Through the Bible Handbook of Answers to help you. The Teacher's Guide offers suggested group activities for each week, and the Handbook of Answers gives you Mark and Patti's personal answers to all the research questions asked in the Through the Bible workbook. The idea is that once you have completed your own research, you may compare it to what Mark and Patti discovered to see if there were things you found that they didn't or things they found that you didn't. So it becomes an excellent confirmation tool for you. The MP3s of Dr. Andrew Hardy teaching through the entire Bible are divided into eight series. Dr. Hardy, a British scholar and devout Christian, shares ten or eleven 20-minute weekly MP3 teachings for all eight series. This brings an anointed scholar to your home group each week, after which you can all share your own personal revelations. This is an unbeatable combination. If you desire a “Coach” (i.e., a Personal Spiritual Trainer), to walk by your side, they are available for only $1 a day. Check them out here or call the office of Communion With God Ministries at 1-800-466-6961. 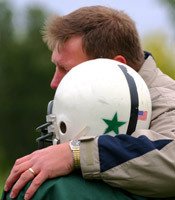 A step beyond a Coach is our college level courses, BIB101 – BIB108 with Christian Leadership University. Here your Instructor serves as both your coach as well as one who grades your work, and you earn three credits per course completed. Become a biblical man or woman today! Learn the Word of God. Let it master you! Let it transform you from the inside out as God speaks deep into your heart. They are all detailed below. Knowing God's thoughts! It is possible. His thoughts are not our thoughts; His ways are not our ways. However, we can learn how to "reason together with God" (Isa. 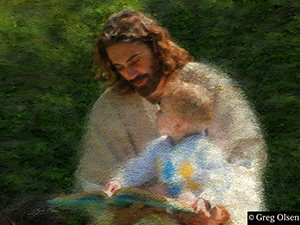 1:18), and receive His insights and His revelations on each and every area of our lives. The process really is quite simple. In the introductory pages of Through the Bible, we will teach you exactly what Biblical Meditation is and how it is different from western study, and the MP3 on ​How to Receive Revelation Knowledge​ will clarify it even more. Then our questions in the text will guide you into meditating week by week throughout the entire Bible! What Is the Through the Bible Workbook PDF eBook and Why Is It So Unique? Covers the entire Bible, book by book from Genesis to Revelation, using guided self-discovery, which allows the Holy Spirit to reveal truth to you from each book of the Bible. An excellent thorough overview of all of Scripture. When you write or type out a verse, you discover words which you otherwise might have missed. Therefore, I write out verses which I know are key truths for my life. I pray over them, diagram them, analyze them, meditate on them. That is why I have written many of my books: I write so I can learn - so I can put truths I am understanding in my own words and in a framework which is meaningful for me. “Now it shall come about when he sits on the throne of his kingdom, he shall write for himself a copy of this law on a scroll in the presence of the Levitical priests” (Deut. 17:18). Since we are kings and priests, are we to do any less (I Pet 2:9)? Let us make the writing out of Scriptures an important part of our lives. 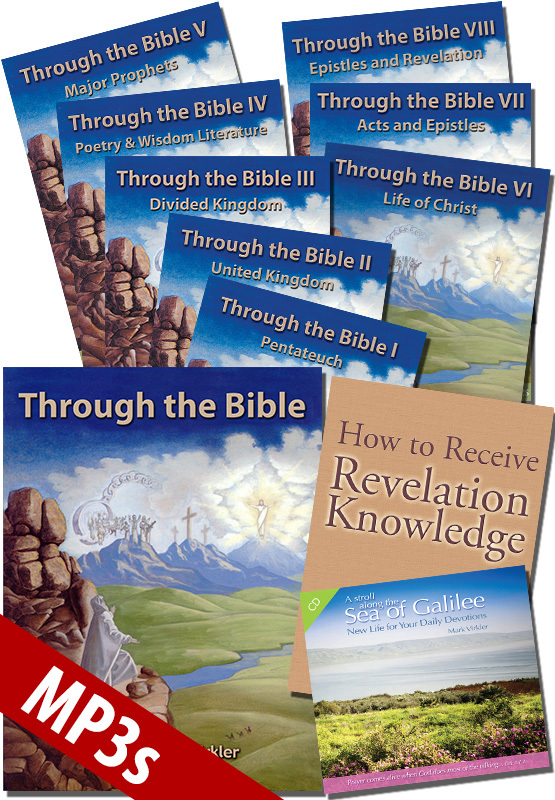 This article on How to Receive Revelation Knowledge is available in PDF format. In this extensive collection of lessons, Dr. Andrew Hardy teaches through the Through The Bible book, providing you with an overview of the entire Bible. This is not an in-depth study of any one part of Scripture, but rather a survey of it all, from Genesis to Revelation. 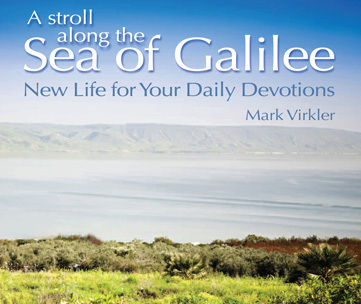 This is the perfect companion to complete your Spirit-led journey Through the Bible. Note: The Minor Prophets are covered in their historical settings in the United Kingdom and Divided Kingdom series. I found that studying Scripture at CLU, while hard work academically, was spiritually rewarding. We all know about the Lamad method; I read all about it when I was beginning my studies. But experiencing its effect is something quite different – it’s essentially a matter of the heart and the soul. I found the Lamad approach was marvelously ‘stealthy’ in creating a personal transformation in me. It’s subtle and gradual, but also continuous and efficient. I can testify to its positive effect in my own life and am grateful for it. My entire experience in these studies was a happy one. 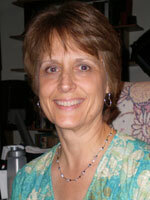 My Instructor and Director, Dr. Karen King, helped my every step of the way. The staff at CLU could not have been any more helpful or pleasant, including Charity who patiently put up with my mountain of emails. And, imagine, an institution where you can call up and often speak to the actual University President (Mark Virkler) or to your Department Head (Patti Virkler). While the courses could be demanding, I felt I had lots of friendly support.